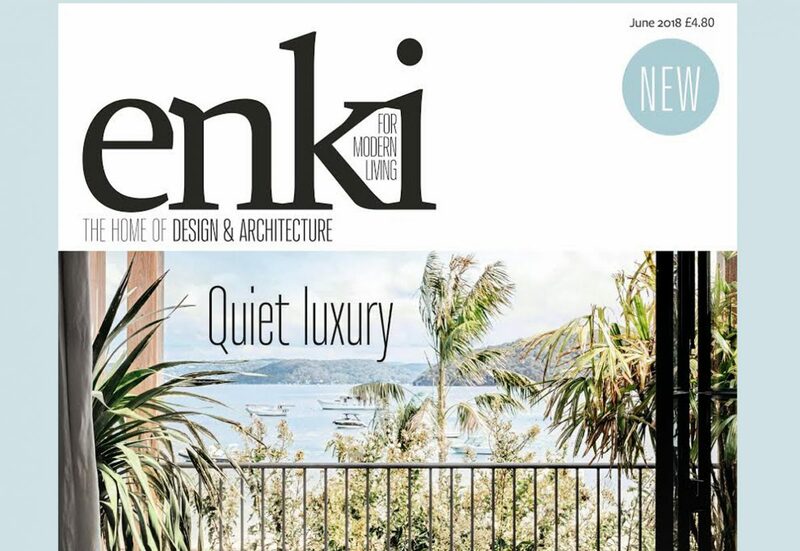 Celebrating design, architecture, quiet luxury, ergonomics, ecology, style, interiors, decorating, new builds and renovations, Enki is a new magazine that launched this month with, fittingly, a feature on the Clay House which exhibits all of the above. 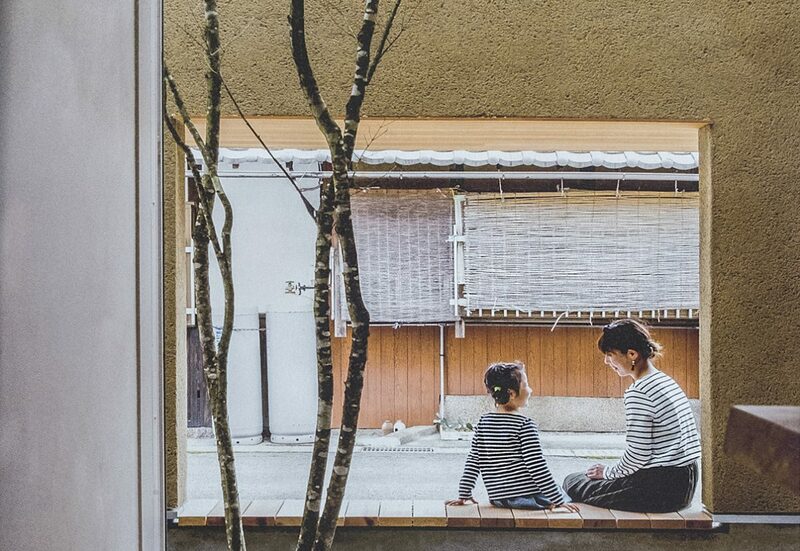 It works in a similar way to the old lathe and plaster, which enables the walls to breath, instead of creating a hermetically sealed box, which modern architecture tends to lean towards. 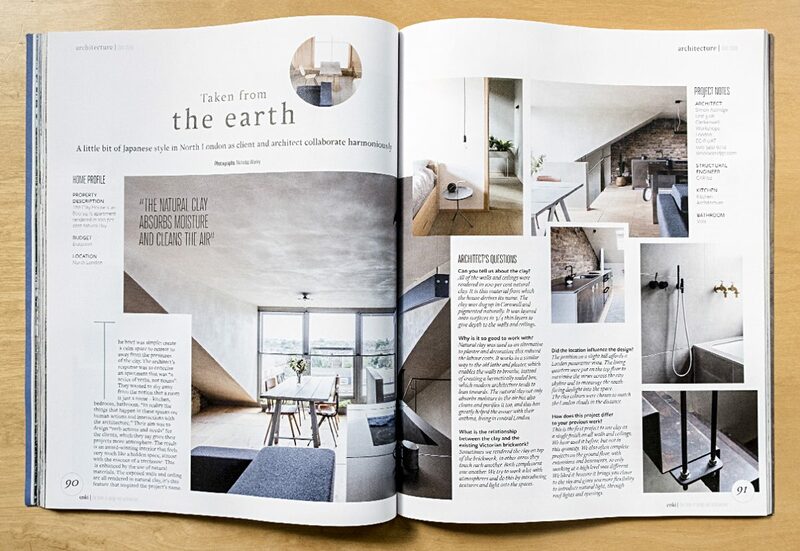 The natural clay not only absorbs moisture in the air but also cleans and purifies it too, and this has greatly helped the owner with their asthma, living in central London. Dry interior environments limit the risk of asthma and other immune system related diseases and it is believed that the majority of adverse health effects are kept at bay by maintaining relative indoor humidity between 40-60%, which clay, along with other natural building materials, certainly helps to do. Results of these studies suggest that clay or materials made from clay are a viable material for passive reduction of indoor pollution, due in part to clay’s ability to catalyze ozone. Human sensory perceptions of indoor air quality were shown to significantly improve when a clay-based plaster was present in an ozonated environment. Erin Kennedy Darling’s dissertation can be read here. Formaldehyde is a Category 1B carcinogen, that can also cause skin, eye and respiratory irritation and while the authors of the study caution that further research is required, these early indications that clay plaster is a passive removal material for indoor pollutants is encouraging. Largely unregulated, noxious chemicals and substances are emitted by so many architectural and interior products. They are benign in appearance. Clay plasters have a rich materiality with no synthetic additions, no VOCs and no off gassing – just earth and natural minerals for colour. That rich materiality beautifully complements most building materials and in the article Astridge explains how clays particularly complement interior brick work and how the textures of the two materials work together create a special atmosphere.